Money is a medium of exchange for goods and services. You make money proving products and services. To a deeper level, people don’t buy products or services, they buy benefits. That is why people will always ask you, “What is in for me in this?” If you have products to sell or services to give, I will also ask you directly or indirectly the same question. Once you give me option for my benefit, I will give you my money for it. The same goes for other people. In making money, your approach to money matters a lot. I once heard from one of my mentors that “Money has a force. Its force depends on the force you carry. If your force is low, you will earn low income. If your force is high, you will earn high income”. It is the forces that I am about to reveal to you. Being defensive simply means managing your money. To manage your money, you need to control your expenses. It is not everything you need to buy. Invest in stuffs that will help you multiply your money. Do not buy liabilities, buy assets. Build your assets first, and then let your asset buy you all the things you desire. Know your responsibilities and discipline your cravings. One way to be defensive is paying your tithes and offerings accordingly. Other ways is to save and invest your money. You increase your defensive force by constantly practicing the act. Any time you stop, you will start all over again. Being offensive simply means multiplying your money. To multiply your money, you need to expand your means. 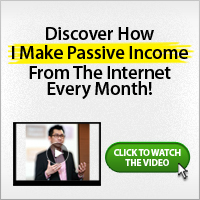 You need to have multiple streams of income. Having more than one source of income will definitely expand your means. One of such source of income is Avenues to Wealth. Other sources are investments, real estate, network marketing, information marketing, internet marketing/ intellectual property, a business of your own amongst others. You increase your offensive force by constantly practicing the act. Any time you stop, you will start all over again. In reality, there is no middle class, it is either you are poor or you are rich. A poor person is simply defined as someone who Passes Over Opportunities Repeatedly. A rich person makes the most of opportunities. If you desire to get rich sure but not quickly, it is recommended that you buy a privilege pack which will grant you access to avenue to wealth. Also read, How to Create Avenues to Wealth for more information about how to create wealth for you and your loved ones. To learn more about Money and/or Avenues to Wealth, please read through our previous posts or through the related posts listed further below. You should also subscribe with your email, RSS, follow me on Twitter, become my friend on Facebook and become my fan at www.facebook.com/jadesojiadegbulu so as to get more posts about delivered to you as soon as they are made available here.